Juncker Lies Again? 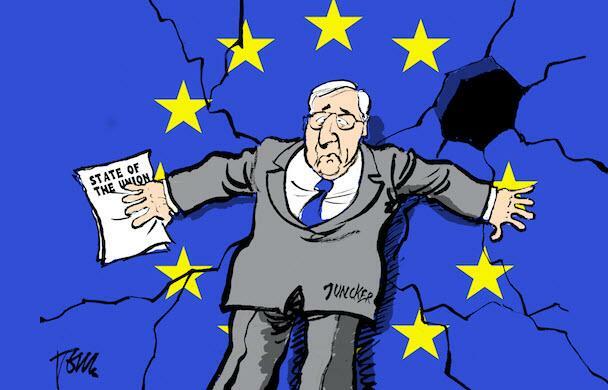 "EU Won't Meddle In Italy's Affairs"
The situation surrounding Italy "must have become serious" for The European Union, because it appears EU Commission President Jean-Claude Juncker is lying once again. Juncker who in 2011, in the depths of the EU crisis, admitted "when it becomes serious, you have to lie" said this weekend that, while he had been tempted to intervene during the recent political impasse in Italy, he was determined not to feed the populist narrative: that the EU is meddling in domestic affairs. Throwing the new government in Rome an olive branch, saying that Brussels and “German-speaking countries” must not repeat the error made during the Greek crisis by reading stern lectures to the Italian people. In an interview with German news service RedaktionsNetzwerk, Juncker admitted to “concern” about the recent developments in Italy, but insisted that the recent turmoil in the financial markets in response to the new government had been “irrational” and should not be seen as a guide to how the political story will unfold in Rome. “I think very highly of President Mattarella, but I have not spoken to him during this crisis. 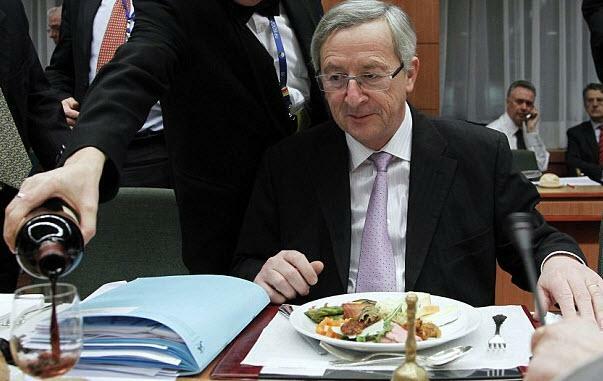 I have not interfered, although I have been tempted to,” Juncker said. But, as The Guardian reports, the commission president had flirted with danger on Thursday by suggesting that the EU should not be blamed for the state of Italy’s poorer regions, where there needed to be “more work” and “less corruption”. Rather than blaming the EU, there needed to be more “seriousness” within the country about tackling its economic and social problems, he said. Does J-C really expect us to believe he is going to just leave the Italians well enough alone to their 'democracy' and they 'sovereign' decisions? We already know The ECB screwed Italy over - so what is Brussels' evil plot to pressure Conte et al. back to the heart of darkness?